You are your child's first teacher. 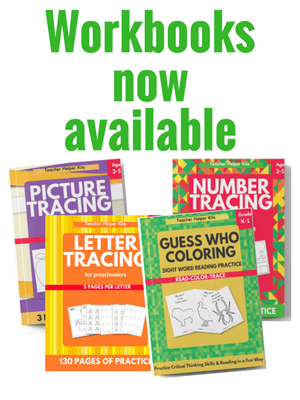 Education, learning activities, preschool, kindergarten, preschool printables and homeschool resources for moms and teachers. Have you started homeschooling your preschooler? One of the questions that I get asked most often, is what should the schedule look like? I created my preschool homeschool curriculum to be flexible due to the fact that my twins attend extracurricular activities. Even though they aren’t being taught by me, I still consider it learning. Remember, just because you aren’t direct teaching your child, they are still learning while they are doing pretend play, blocks, etc. Younger children probably have a shorter attention span, so you should do activities in 10-15 minute chunks. Older children can usually sit for longer amounts of time, but I still wouldn’t go over 30 minutes for one activity. Keep in mind that your child should be able to sit still and complete an activity for up to 30 minutes by the time they are in kindergarten. As I stated before, include activities you attend such as story time or swimming class, in your schedule. Even if your child were attending a traditional school, they would have time for independent play. Usually a preschool classroom is set-up with different center areas for children to roam freely during different times of the day. Children need time to play independently which allows them to exercise their imagination, practice fine motor skills, and learn life skills. I will read a book related to our preschool theme. Before reading, I will go over the parts of the book (cover, title, author, spine, and back) to reinforce these important pre-reading skills. We use my Preschool Star curriculum which covers a variety of skills (letter recognition, Math, and more) so we do different things each day. My twins are used to doing printables, so they can usually complete 2-3 during this time. 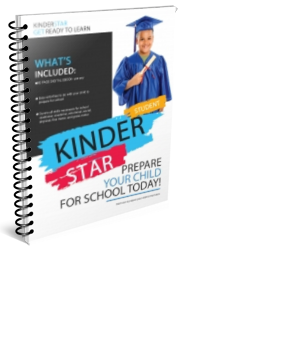 I will choose a hands-on activity from the Preschool Star lesson plan to complete. It could be a craft, sensory tub, cooking, Science- any fun and engaging activity that is related to our theme. We follow Learn to Read and usually complete two reading printables/activities and practice the word family for the week. This is our schedule for Monday, Wednesday, and Friday. On Tuesdays and Thursdays, my twins attend classes, so we complete an activity from the KinderStar book before we attend class. After lunch, my twins will play independently or if they are tired* take a nap. Unfortunately, my twins do not take naps anymore daily, but they do wake up late so I am able to utilize the morning for myself. I also read to my children before they go to bed, but that is reading for enjoyment, meaning that I don’t go over any parts of the book, we just read the story. Although two hours might seem short, in reality if your child was going to school, this would be a similar schedule. The only difference is that they include a lot of independent play time. Another thing to keep in mind is to keep your schedule flexible. Sometimes you might be tired, sick, or just have other things going on. This is the main reason why I didn’t create a rigid schedule for each printable and activity. The freedom and flexibility to choose what to do each day, is better than a structured schedule that creates unnecessary anxiety if you don’t complete it. Remember, it's your homeschool, you are in control of what you want it to look like. 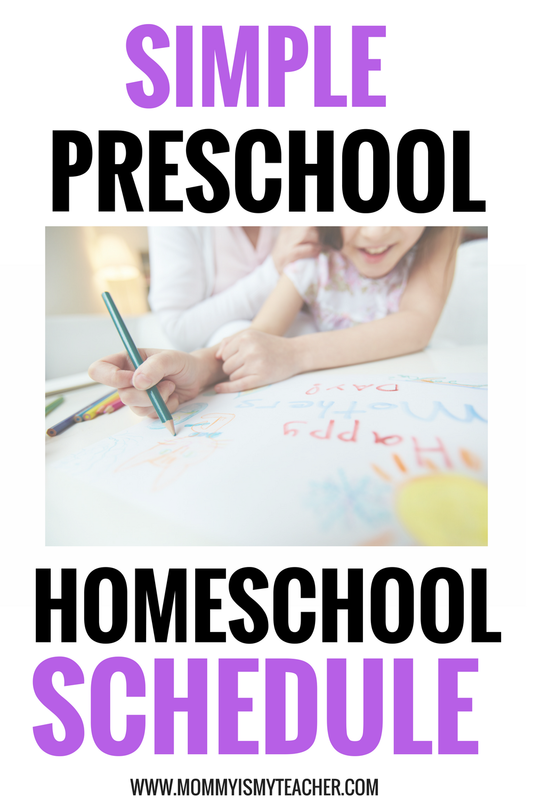 How do you plan your preschool homeschool schedule? Let me know in the comments below! Mommy is My Teacher provides learning activities and resources for homeschooling, preschool, kindergarten, and elementary. All posts may contain affiliate links. These links give me a commission at no additional cost to you, and allows me to continue to spend time on this blog, and create freebies for you. I do my best to make sure that each link is to something I support or personally use. Read the full policy here. Sharing is caring! But please remember that all images and text on this site are the property of Mommy is My Teacher. Feel free to use one photo provided that a link back to my original post is included. Do not remove any watermarks, crop, or edit any of my images without first obtaining written permission from me. Please do not copy or duplicate any content from Mommy is My Teacher without written permission from me. All free printables are for personal use only. Please send others to my site, so that they may download printables themselves. Social Media sharing & pinning is always weclome and appreciated! Mommy is My Teacher is a participant in the Amazon Services LLC Associates Program, an affiliate advertising program designed to provide a means for sites to earn advertising fees by advertising and linking to amazon.com or myhabit.com.